In the next market downturn, if the price of the S&P Index drops to previous low of $677 (March 9, 2009) then it would have decreased by 75%. 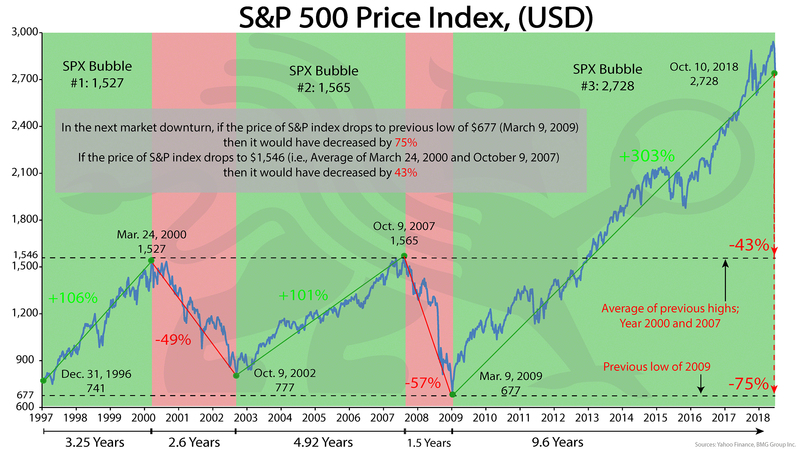 If the price of S&P Index drops to $1,546 (i.e., average of March 24, 2000 and October 9, 2007) then it would have decreased by 43%. Source: Yahoo Finance; BMG Group Inc.